In a recent post on this blog, we questioned a statement made by CEO of Exercise New Zealand Richard Beddie. Beddie told reporters that CrossFit was responsible for “…6 deaths…”, which is completely false. After we questioned this claim, the editors immediately posted a retraction, but refused to look into Beddie’s statement further. Our article had some interesting results. First, the Facebook page for the Exercise Association of New Zealand received nearly twenty 1-star reviews from those outraged about Beddie’s remarks. Within a few hours Exercise NZ removed the feature from their page entirely. 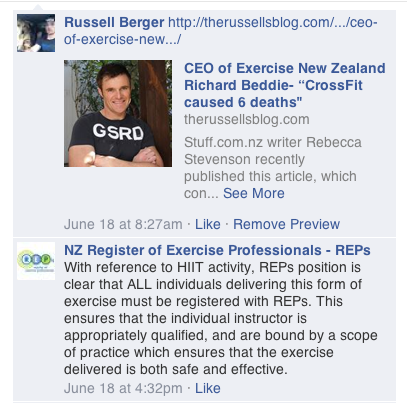 The NZ Register of Exercise Professionals (REPs) responded to our post on their Facebook page, claiming that the Stuff article contained a “misquote” from Beddie regarding CrossFit. I decided to try to call Beddie directly, and contacted REPs. After a number of attempts, I finally reached him on the phone. He was willing to answer my questions regarding REPs, but refused to discuss the CrossFit article over the phone. Beddie claimed that this was because he had been misquoted in the CrossFit article, and he requested I email him my questions. Richard Beddie. Photo Credit: REPs NZ Facebook page. Beddie’s organization has a strong opinion about the need for CrossFit trainers to be “registered” with REPs. Beddie seems to know that nothing generates support for bureaucracy and regulation like fear of death and injury, even when those fears are based on lies. ← The NSCA to CrossFit- Why Should We Know if What We Publish is True? This is a direct quote from Richard Beddie about my industry …. The machines that were being supplied to these businesses were cheap Asian units. Richard Beddie knew this and still supported and promoted it. And his REP training had ZERO education of the discipline of Vibration Training. 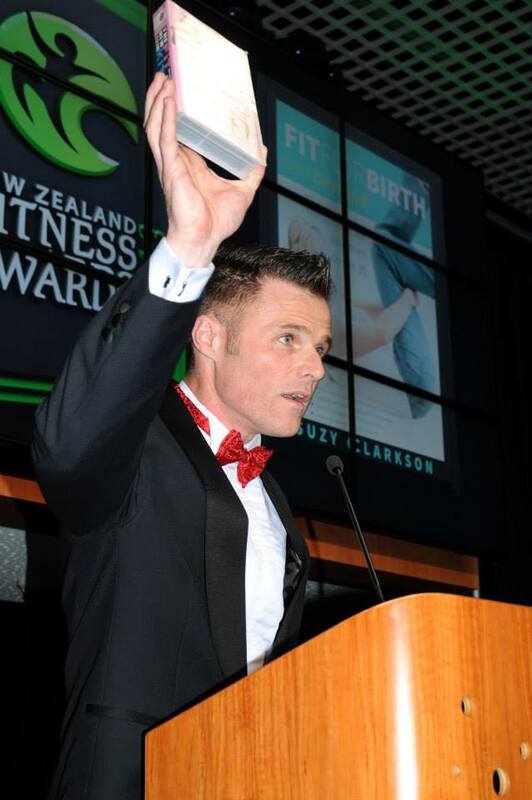 This is the face of Fitness N.Z. for me. Greed over commitment and education..